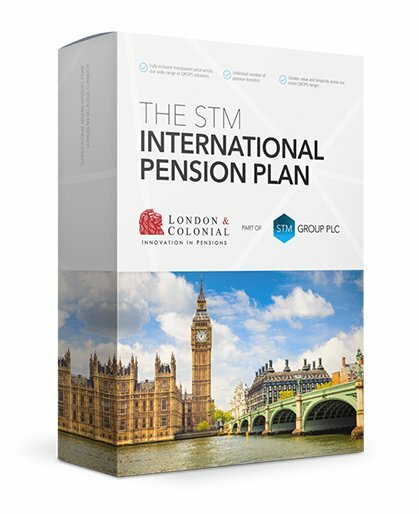 Following the acquisition of the SIPP provider London & Colonial in October 2016, STM Group Plc and London & Colonial is pleased to introduce The STM International Pension Plan, a new UK-based Self-Invested Pension Plan (SIPP) designed specifically for international clients with UK pensions. This SIPP product offers flexible retirement options and advisers can benefit from the excellent support of the well-established UK provider, London & Colonial. London & Colonial, the SIPP Operator and Administrator of the pension plan, has a reputation built on delivering innovative pension solutions and the SIPP utilises the existing London & Colonial technology that facilitates an online application process. With a choice of fee arrangements and access to technical support across the Group, this will prove to be a compelling sales proposition for international advisers. A big draw to advisers is likely to be the online functionality. Feedback from existing advisers, who have been using this for a number of years, suggests applications can be completed and submitted in a little over five minutes. The online process provides dual access with each client required to electronically sign their application. Online applications also provide advisers with improved visibility, courtesy of online submission tracking. STM is confident this true online functionality, along with the benefits of being a member of Origo, will result in an application process that has the potential to significantly reduce the lead time from application submission to funds being received. London & Colonial Services Limited is authorised and regulated by the Financial Conduct Authority.